Accented with beaded, scrolled embroidered appliques, the illusion back of this gown leads to a lace-edged train. 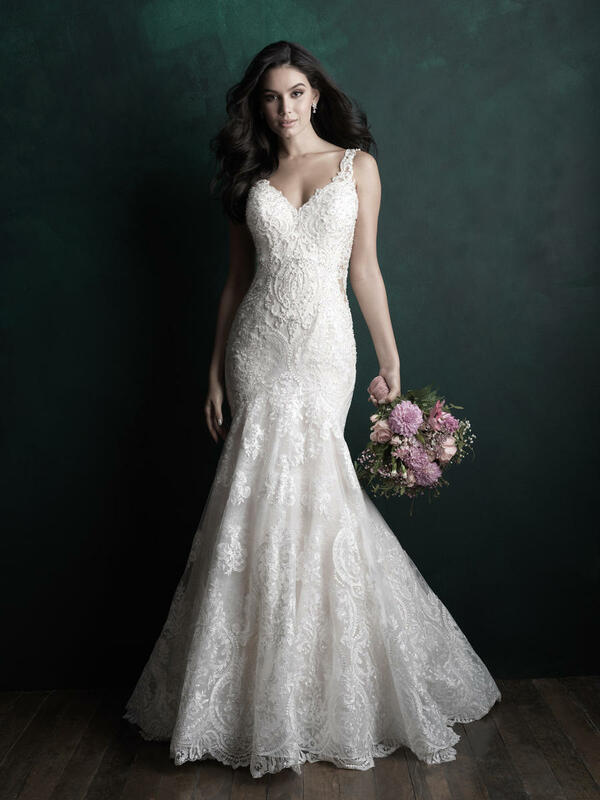 STARLET BRIDAL IS LOCATED IN THE LOVELY MONTGOMERY VILLAGE SHOPPING CENTER. THE SALON HAS OVER 4000 SQUARE FEET OF SALES FLOOR SPACE DEVOTED TO THE FINEST COLLECTION OF BRIDAL GOWNS, SPECIAL OCCASION GOWNS, PROM DRESSES, QUINCEANERA GOWNS, BRIDAL VEILS, ACCESSORIES & SHOES.